China Tang at The Dorchester – Serving Cantonese food in one of London’s luxury hotels. 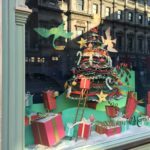 Closed on Christmas Eve & Christmas Day but open on Boxing Day through to the New Year. Jamavar – Delicious Indian food on Mount Street. Open for lunch and dinner on Christmas Eve and New Year’s Eve. Closed on Christmas Day and Boxing Day. 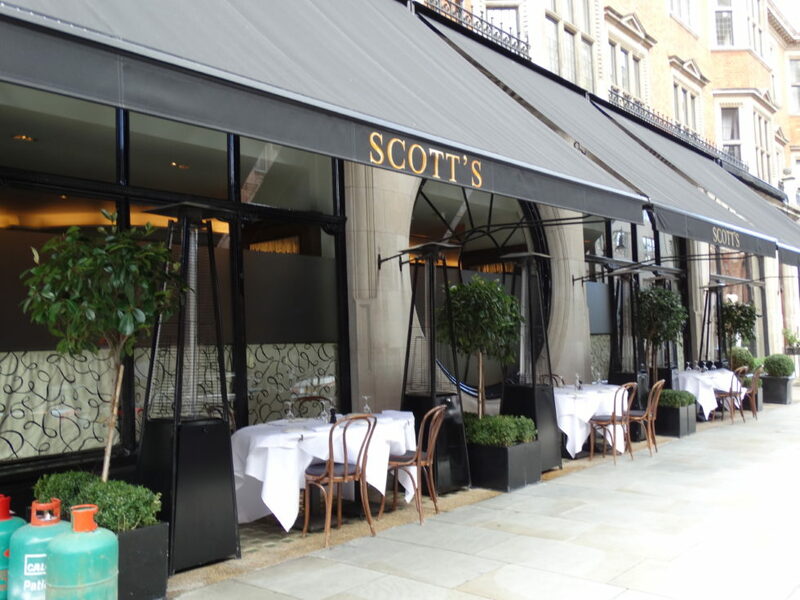 Scott’s – Seafood and fish restaurant on Mount Street. Open for lunch on Christmas Eve, and for lunch and dinner on New Year’s Eve and New Year’s Day. Closed on Christmas Day and Boxing Day. Burger & Lobster – The name says it all. Clarges Street restaurant is open on Boxing Day (12-8pm), New Year’s Eve (12-10pm) and New Year’s Day (opening hours TBC). 34 Restaurant – Grill restaurant serving steak, fish and seasonal game (and a vegetarian menu). Open for lunch on Christmas Eve and lunch & dinner on New Year’s Eve. Closed Christmas Day and Boxing Day. 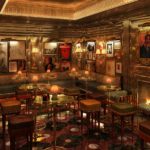 Ristorante Frescobaldi – Serving fresh Italian food with seasonal ingredients. Open on Boxing Day & New Year’s Eve, and open for dinner on New Year’s Day. Closed on Christmas Eve and Christmas Day. Fera at Claridges – Delightful food made from foraged plants and seasonal produce. Open for lunch and dinner on Christmas Eve and Boxing Day. Closed on Christmas Day (except to hotel guests).